I wish I have told you that Giza Polish Ventures has found a Polish gem of a startup which is going to revolutionize something. Instead, here is a piece of news of a solid investment in the audio book company Audioteka.pl, which sells audio books in Poland and plans to expand to Hungary, Romania and Bulgaria. 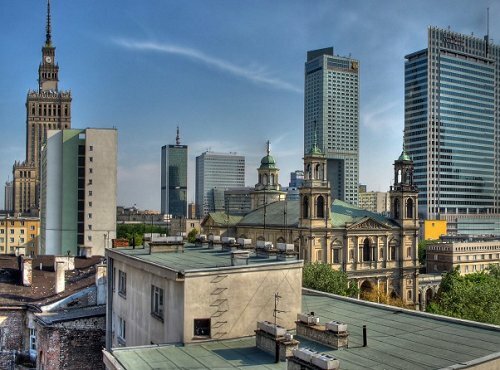 Founded by the Israeli VC Giza Ventures, Giza Polish Ventures has just announced its operations in Poland last week, confirming the focus on the early stage companies. I don’t know if a three-year-old audio-book retailer can be considered early stage (especially in eastern Europe where growth happens fast). But it is obvious that the fund makes a safe (for a VC anyway) investment into a business which has proved itself on the local market, and needs financial muscle to promote its business in other geographies. The business of selling digital content is still a difficult one, as the piracy is ripe in the eastern European countries (read more about the subject in WSJ). So it is commendable that Audioteka is growing despite free pirated content being freely available elsewhere. According to Antyweb.pl‘ Grzegorz Marczak interview with the president of Audioteka Martin Beme, the company’s end goal is to become European leader in selling audio books. My view is that expanding in the western Europe might be an uphill battle. In addition to Apple’s iTune Store selling audio books in various European languages there is Audible, which Amazon has acquired in 2008 for $300 million. Audible, in comparison with Audioteka, has been founded in 1997, and has offices in the largest European countries Germany, France and the United Kingdom. I suppose, that in reality Giza Polish Ventures expects Audioteka to become an eastern European leader, and then exit by selling to the global incumbent player looking to expand further east. The numbers: the investment was Euro 440 000 in exchange for 20 per cent of the company.